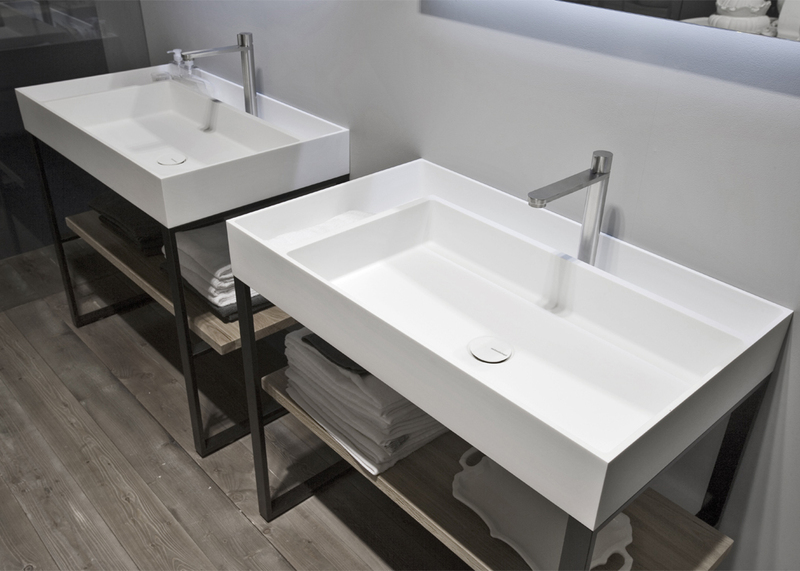 The integrated sink is generally proven to be successful from a commercial standpoint. The challenge was to find a new functional solution linked to an idea non yet explored. Domino looks like an empty thick monolith ready to accommodate the sink, but not only. 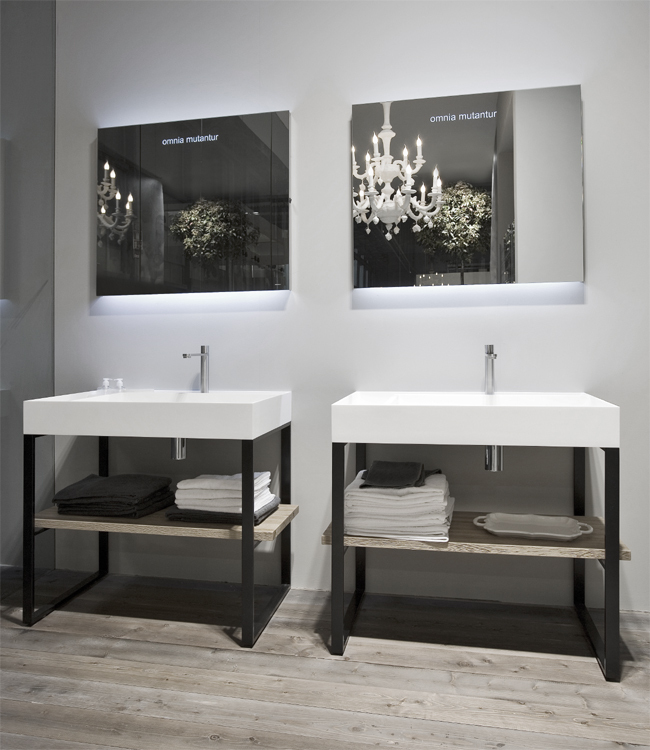 In fact, the useful supporting surface, on the sides and behind the basin, is equally empty as to allow an open air container in which to view and store all the necessary body care products. On the contrary, Domino was created as an infinite neutral surface built with countless compartments, some of which may become sinks. Therefore, there is an abnormality of image where the perception appears confusing, where the sink blends with the equippable containers, we do not perceive a sink but instead we perceive neutral “boxes” to be filled, and only by installing the mixer tap do we understand which area is used to drain water. Dedalo is available in Corian in the 74 cm and 90 cm versions, in either a freestanding structure of tubular steel and solid wood platform, in supporting series, or inserted in the container structure.